Now that the holidays are well behind us, we’re trying to catch up on all the amazing toys & games that were released just in time for Christmas. Every year we publish a number of Holiday Gift Guides to help you fill up that empty space under your Christmas tree. From toys and games to electronics and gadgets, it doesn’t take our readers long to find something perfect for that special someone. In the months preceding these gift guides we are busy examining (and playing) with a number of these items to make sure they’re a good fit for our readers. By the time the articles go live, we have put a good percentage of them “through the wringer” and make sure they have a prominent spot at the top of our lists. These are easy to spot as they have a tiny logo denoting where you can find a more in-depth overview of the product. And then there are ones that come out right in the middle of our frantic 4th quarter. We know these products are good enough to recommend just by previewing their boxes, but we really want to put them through their paces and give you a better idea of what you’re getting for your hard-earned money. 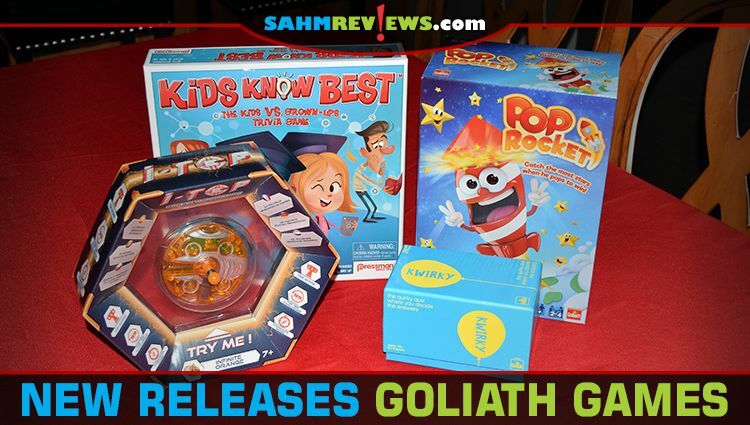 Goliath Games was very busy this holiday season, issuing many more than a handful of games and toys. We chose four in particular to be included in 2018’s Holiday Gift Guides and are ready to tell you a bit more about them in-depth. 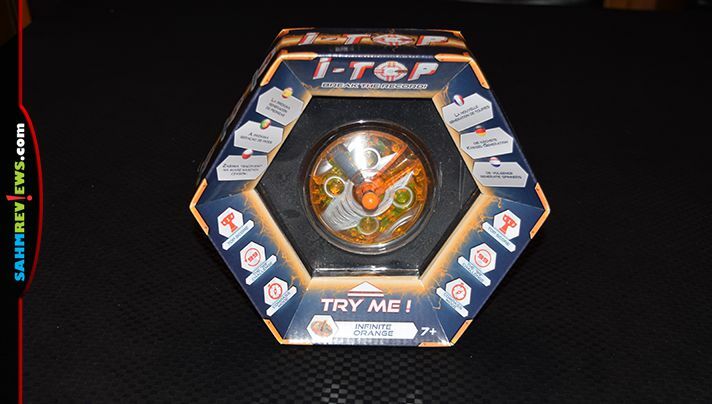 i-Top is a cross between a toy and a game and is designed for one player only (although multiple players can take turns). It’s a top. But a 21st century top. That lights up with LEDs. And not only lights up, it is able to count the rotations, determine polar north and sense when it stops spinning. All this…in a top! 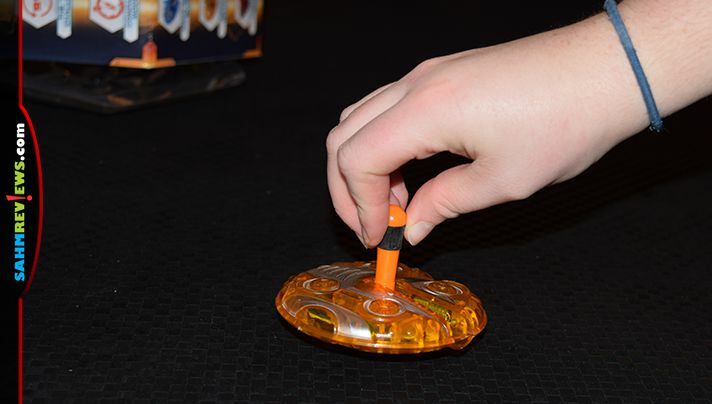 Out of the box you’ll be challenged to spin the top and see how long it will keep spinning. The i-Top keeps track of the high score and flashes it at you so you know your goal. When you’ve achieved the highest you can, take on some of the other challenges included. Try to get the top to stop spinning at exactly 99 rotations and you’ll unlock a secret animation. 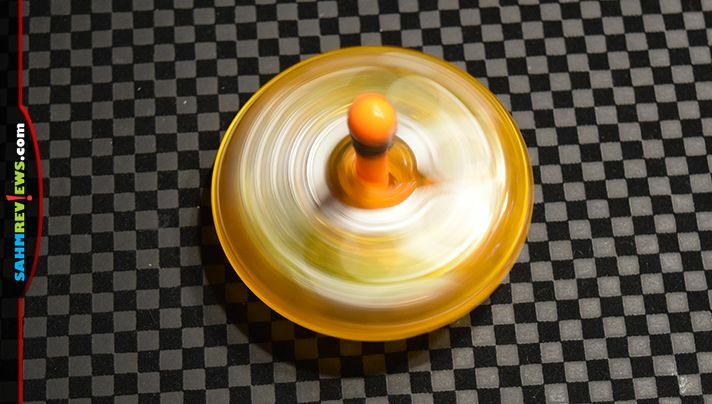 Do so multiple times in a row and you’ll earn stars that will be shown each time you spin the i-Top! Additional secret animations are unlocked at certain levels – 314 earns you a Pi animation, 606 a UFO and 214 displays Cupid! It was fun discovering which numbers unlocked what! Spinning the top right, then left, then right, then left reveals compass mode. The i-Top now displays North, South, East and West and maintains their position as the top spins! This part was fun to discover, but we found the accuracy to not be very good. I certainly wouldn’t count on the i-Top to get us out of the woods! Available in a number of colors, you’ll find i-Top on Amazon or at your local big box retailer. Whenever we try to play a trivia game with the family we run into the same thing many of you do – the questions are just too hard for younger players. And if you try to find a trivia game designed specifically for a younger audience, it is either too boring for the adults or has questions about subjects the adults know nothing about. So what would happen if you combined these two types of trivia games? That’s exactly what Goliath Games did in Kids Know Best. It’s a trivia game with a set of questions for each group of ages! 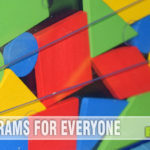 Each card has a set of questions geared towards either adults or kids. Here’s the twist. Adult questions are about things the kids know all about – children’s cartoons, books, video games. And Kid questions are about things they probably learned in school (history, math, etc.) and already forgot! A fair playing field! The goal is to move your pawn up the board to the end. Every time you answer a question correctly you can move one space and attempt another question. 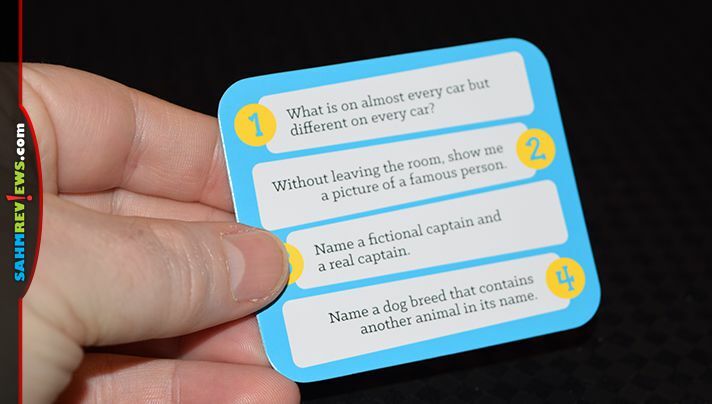 Answer all three questions on the card correctly and you’ll move an extra space! Certain spots on the board will award you extra movement when answering correctly or give you a penalty for missing. The first player to get their pawn to the top wins Kids Know Best! 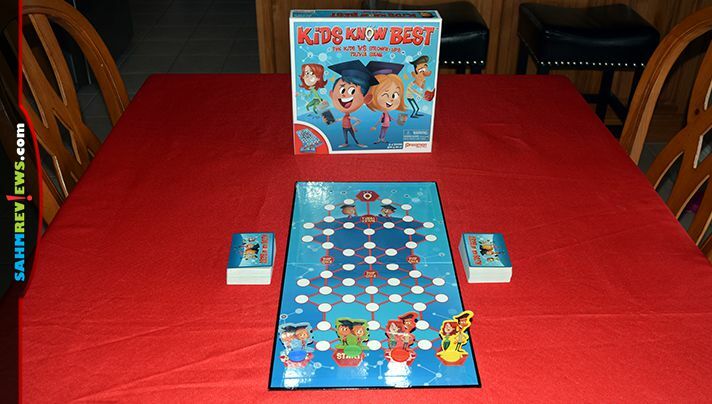 Currently on Amazon for around $13, you can also find Kids Know Best at most major retailers. This one caused some real excitement with our family. The premise is pretty simple – catch the most stars when the rocket explodes in order to win. Don’t worry, the rocket doesn’t really explode. It’s more like he blows his top. And when he does he launches scores of cardboard stars into the air! 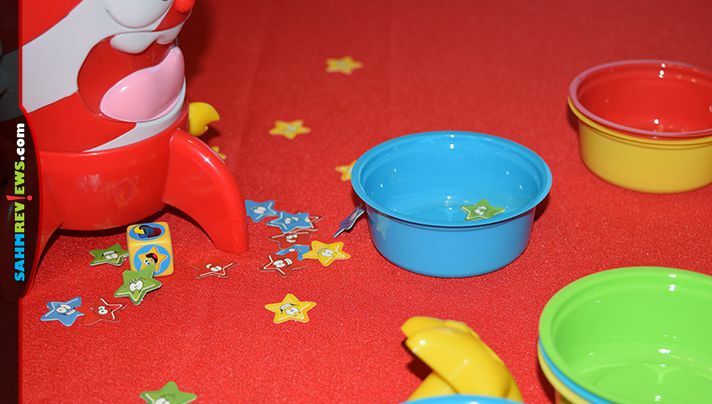 For each round you’ll load the large plastic rocket with all available stars and close its lid. A pull string is pulled, starting the timer (about 60 seconds). Players will rush to roll the included custom die and perform their action depending on its result. If a cup symbol is rolled, you can place one of your cups anywhere on the table. The move symbol allows you to move a currently placed cup anywhere else on the table, on top of another cup or get your cup out from underneath others! If you manage to roll the star symbol, simply steal a star from another player and place it into your board. At the end of 60 seconds the lid will open and the rocket will launch the stars upwards an additional ten inches or so. They will fall from the “sky” and hopefully land in the cups placed around the rocket’s base. The color of the stars does not matter and players collect any stars that have landed in their color cup. 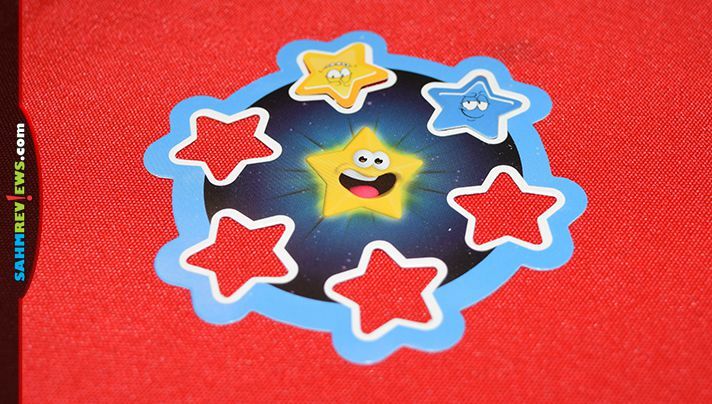 The first player to collect six stars wins Pop Rocket! 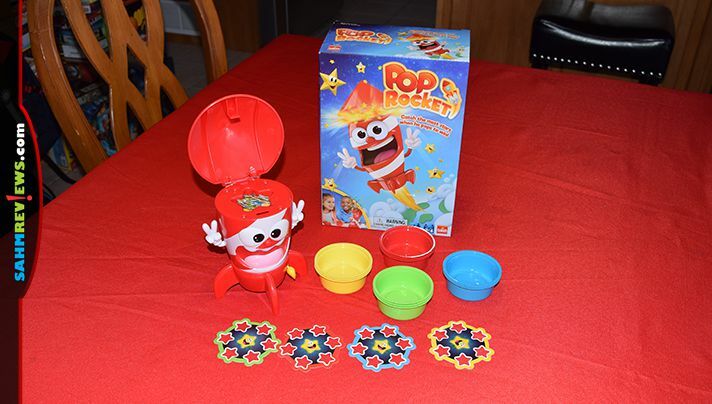 Pop Rocket is currently available on Amazon and at Walmart, KMart and Meijer. What if you could play a trivia or quiz game and not have to worry much about your answers being right? That’s what Kwirky is all about! 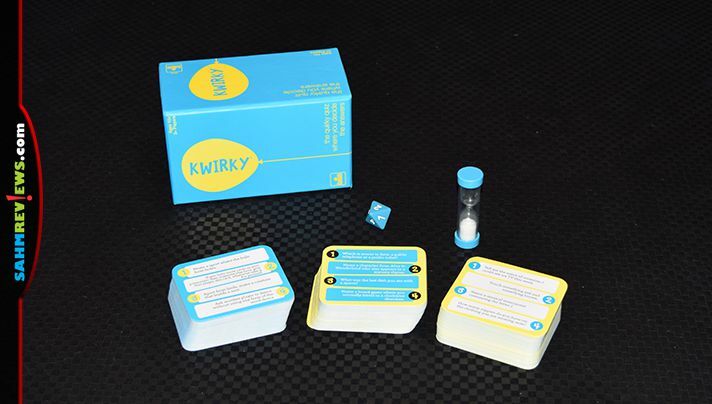 Billed by Goliath Games as “the quirky quiz where you decide the answers”, Kwirky is another good example of a game that levels the playing field between parents and children. A game of Kwirky is played over a predetermined period of time (say, 30 minutes), or a specific number of rounds around the table. One person begins the game as the questioner and takes the sand timer. The person to their left becomes the first to answer questions and rolls the included 8-sided die numbered 1-4. This will determine which questions the questioner will ask. Once the timer is flipped, the questioner draws a card from the deck and asks the corresponding question. All of these have multiple answers or require you to perform a specific action. Once answered, any other player can challenge if they don’t like the response. If unchallenged, the answerer earns the card. If challenged, that card is set in the middle of the play area to be resolved when the timer runs out. Both the questioner and answerer want to run through as many of the cards as they can before the end of their turn. 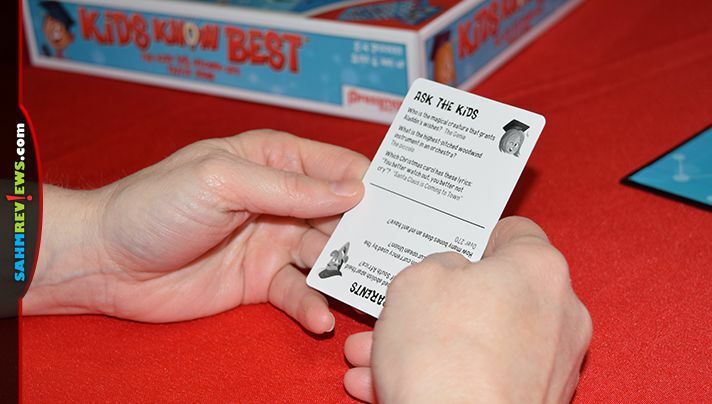 The answerer wants to earn as many cards as they can, while the questioner receives a bonus card to their stack if they read out at least five questions in the designated time. Once the timer expires, everyone looks at the challenged card. The challenger gets an opportunity to explain why they think the original answer is incorrect. If agreed, the challenger receives the card AND another card from the original answerer’s pile. If the original answer is deemed correct, that person keeps the card and takes one from the challenger! The same person continues asking the questions, but now to the next person in clockwise order. Once everyone has had a chance to answer, the task of questioning moves to the next player and another round is begun. The player with the most cards at the end of the game is the overall winner of Kwirky! This one too is available on Amazon or at most major retailers! 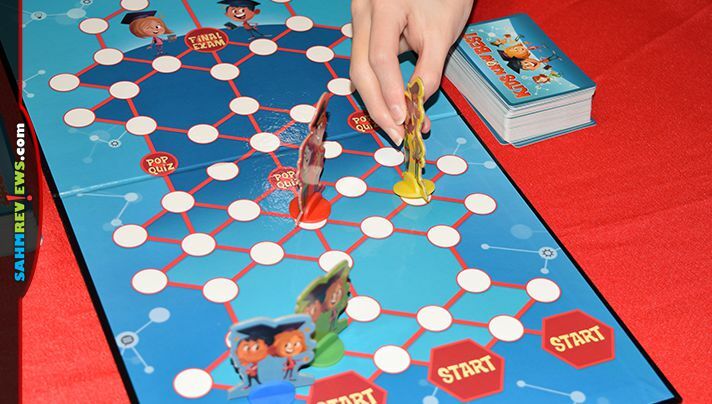 Any one of these four games would be a welcome addition to your family game night. 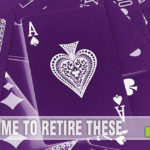 With a wide variety of mechanics (trivia, dexterity, luck), at least one of them should fill a void in your collection. Watch for them to show up at your big box retail store or pick them up on Amazon with free shipping! Keep an eye on Goliath Games’ website and social media channels (Facebook, Twitter) to see what they’re working on for 2019! What was your favorite game you got for Christmas? 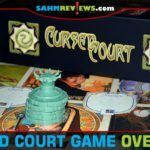 Fun set of games! Pop rocket looks like fun! Fun way to spend time with the kids! Thanks for sharing! Fun! 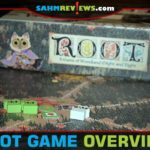 Wonderful looking family games! Thank you for sharing! some new games! thanks for the heads up!